Small, friendly family guest house, situated in the heart of Keswick, only a brief walk from the town centre, lakeside and close to many visitor attractions, Hawcliffe House is ideally placed as a base for a short break or long holiday in the Lake District. A few minutes walk to the town centre and Fitz Park. An ideal base for walking and cycling. Early breakfasts and packed lunches available on request. 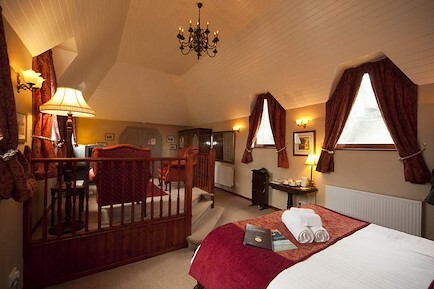 All rooms are en-suite with showers, have remote control colour TVs, radio alarm clocks and hot beverage making facilities. Hairdryers & ironing facilities are also available. Our hearty English breakfasts are served with a variety of cereals, fresh fruit and fruit juices in our cheery dining room. Vegetarian options are available. We can cater for Special Diets, just let us know. Packed lunches are available by arrangement and are especially popular with many of our regular guests. We offer excellent value for money bed and breakfast accommodation for any period of stay, and especially welcome walkers and families. Please note that we have a no smoking policy. Whether your stay is for one night or a month or more we guarantee our standards of comfort, food and hospitality. We can't arrange the weather but promise to do everything we can to make your stay with us a memorable and happy one. Come as guests and leave as friends. A warm welcome awaits you. Your enquiry will be sent directly to Hawcliffe House. Please fill in as much detail as you can.